This paper introduces a stable feedforward controller which gives approximate tracking for discrete time nonminimum phase linear systems by only using a bounded preview of the desired output signal. The methods presented in this paper are based on the method of Dichotomies, which is adapted to the bounded preview time. Special attention is given to marginally stable zeros, which were not permitted in previous publications. It is shown that the error due to the bounded preview time is bounded, and decreasing while increasing the preview time. 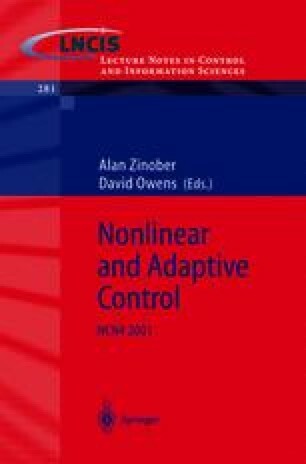 The performance of the feedforward controller is then further increased by adding a sliding mode controller within the feedforward controller. A simulation example demonstrates the applicability of the proposed controllers.